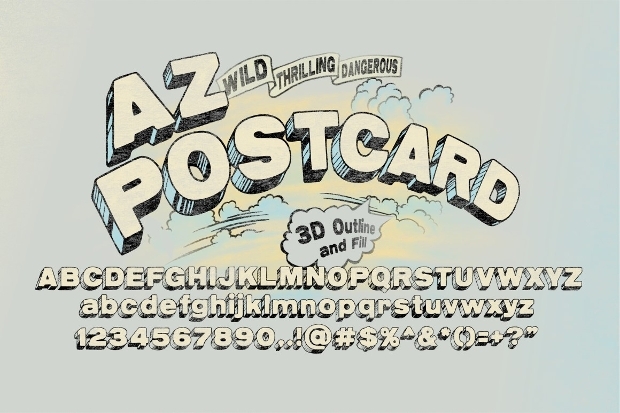 3D fonts are a great embellishment for many designs, advertisements, and bold embellishments, perfect for any project. 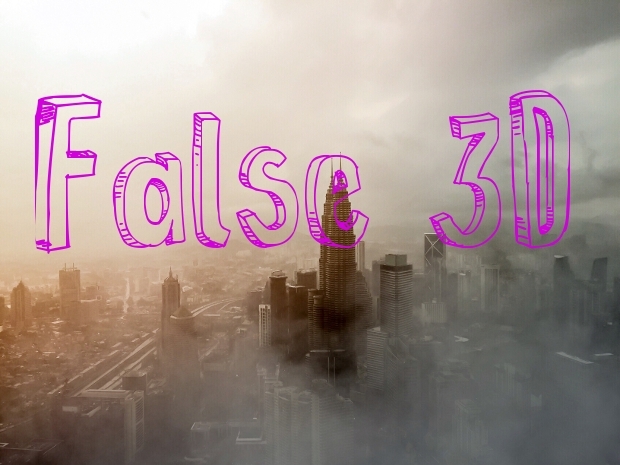 In order to help you decide which font is the best fit for your design and projects, we have put together this list of a wide range of 3D fonts to help you make your decision and complete our design project. Some are more playful, where others are much more simple and professional. No matter what the theme of your project, we have a design to suit your needs. 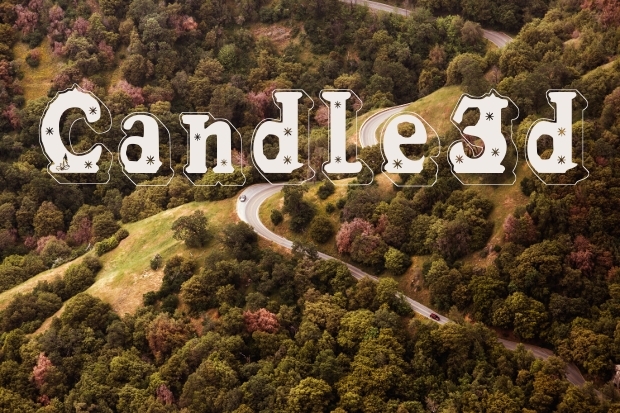 This 3D font uses the San Serif typeface to create a vintage and playful font. 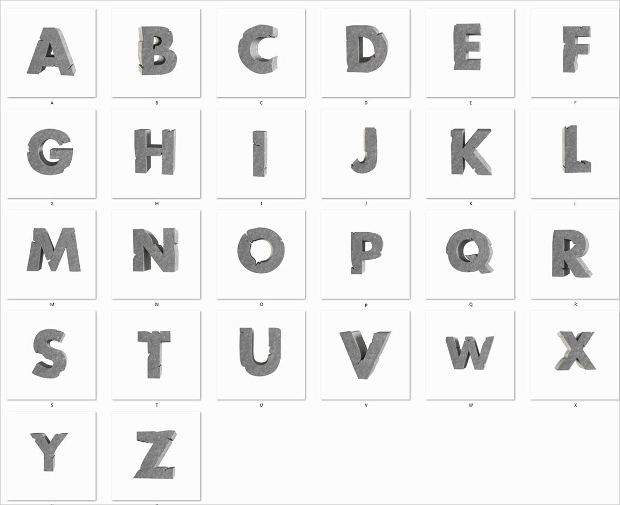 There are a number of weights so it is fully customizable to your project requirements. 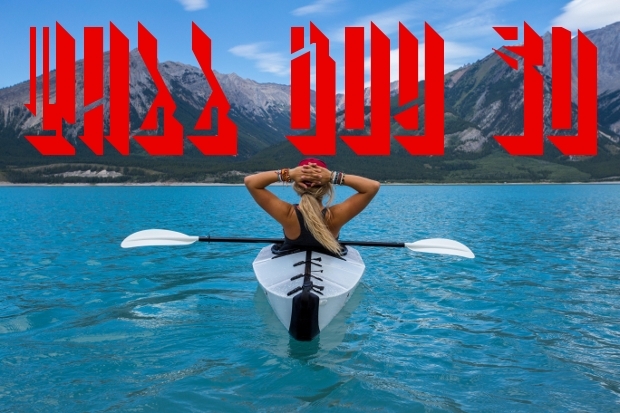 The font is perfect for cartoons, headlines or on a web design. This 3D font has a much more bold and metallic finish to it, and is great for embellishing designs, or to as an eye catching element to a project. It could also be used as a bold headline or advertisement typeface. 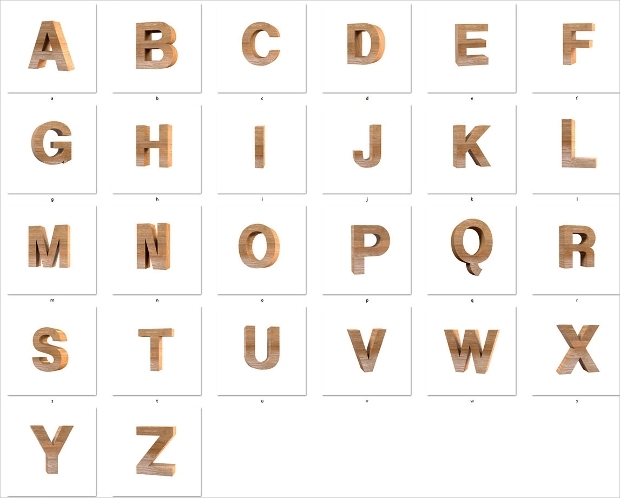 This 3D Font uses a wooden texture to produce a beautiful, wooden font design. 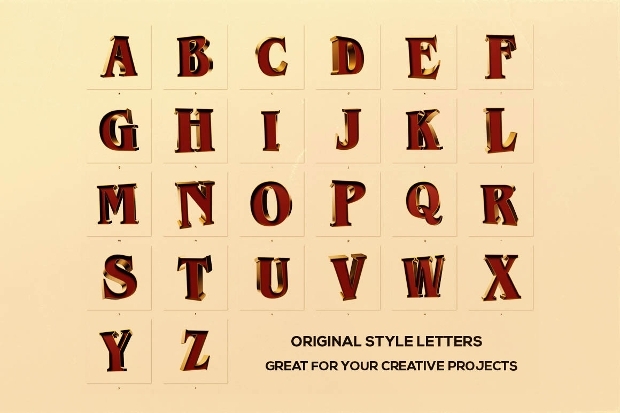 This font is ideal for companies and businesses that work around wood during advertising, to create headlines and banners in order to create a beautiful and tied-in theme to the design of your project. 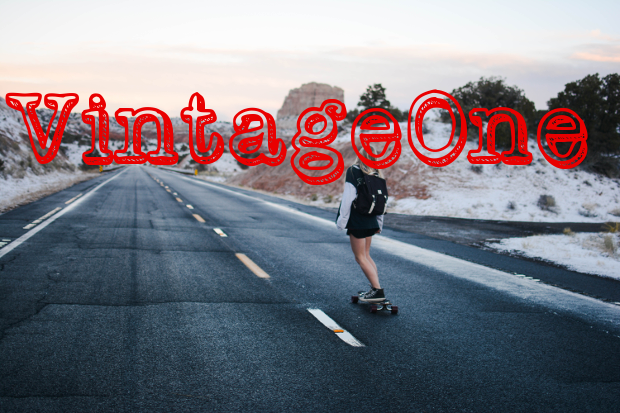 The frontage font style is very simplistic and semi-transparent font, which uses blue lines and some transparency in order to create this beautiful design. It is perfect for website design, titles and logos. This font is a simple black and white font with a white outline. It has soft rounded edges and can be used for a number of different projects, such as advertising to children, as it is fully customizable to fit your design. 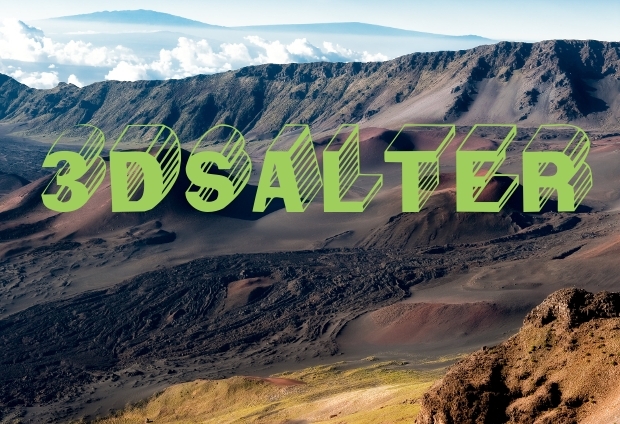 This lettering font uses a stone texture in order to create a strong and bold lettering font. This font is perfect for a number of eye-catching projects such as banners or advertising campaigns. 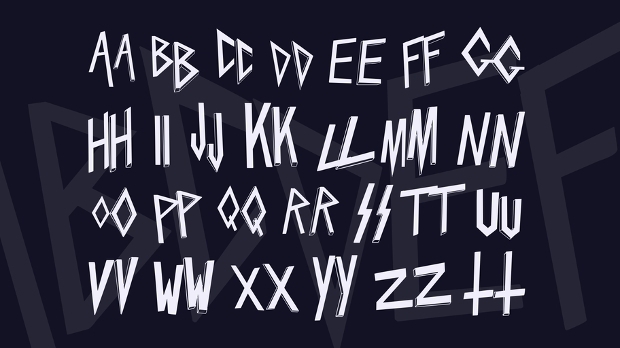 This font is a playful, black and white, hand-written styled font with a bold 3D design. 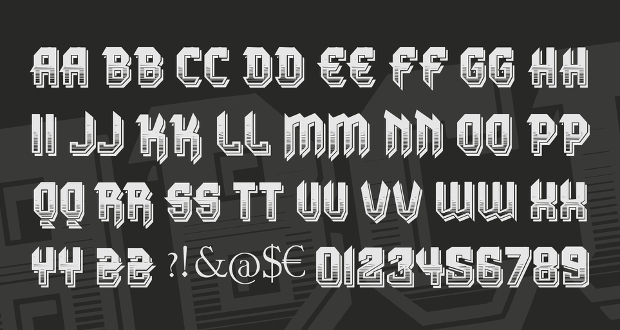 This font is useful for projects aimed at children and teenagers for an indie feel to any project. 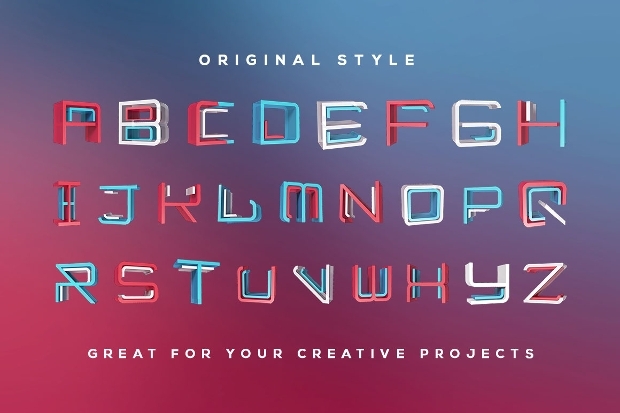 These 3D font designs give you plenty of options in order to find the font that best fits your business theme and project design. 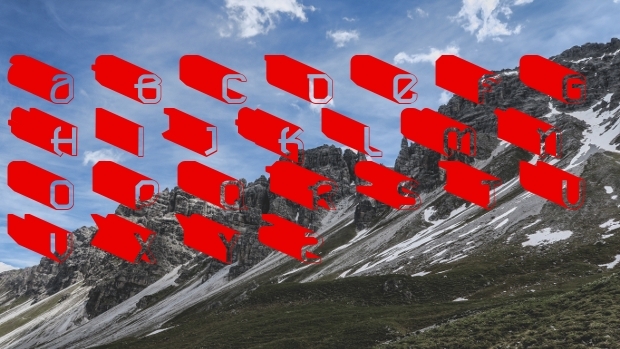 We hope that this list has provided you with inspiration, or even the perfect font to create the best design possible for your business or project.